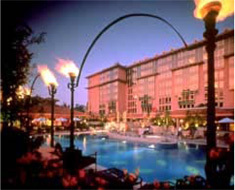 ICC 2006 will be held jointly at ICEC (Istanbul Congress & Exhibition Center) and Istanbul Hilton Hotel. The conference headquarters hotel, Istanbul Hilton, and ICEC are at only 3 minutes walking distance from each other. IEEE Communications Society Board of Governors (BoG)-related meetings will be held at the Hyatt Recency Hotel, which is within 8-10 minutes walking distance from ICEC/Hilton. Located in the heart of the city, overlooking the Bosphorus, Istanbul Hilton is 3 minutes to the Istanbul Congress & Exhibition Center (ICEC), situated on 13 acres gardens. 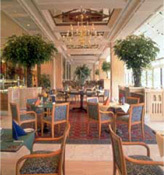 The hotel is within the congress valley and is in walking distance to entertainment/shopping areas as well. The distance from the airport is 24 km. 360 guest rooms including 28 suites 2 Floors housing 71 Regency Club Rooms and Suites, a private launge and two board rooms. KONGRESIST International Convention Management Inc. is responsible for reserving your hotel room with specially negotiated rates for ICC2006. A block of rooms has been reserved at the Hilton �stanbul and �stanbul Hyatt. 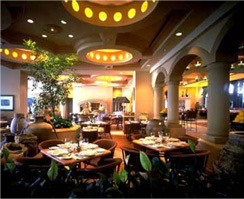 All reservations must be made by 30 April 2006 accompanied by one night deposit to be guaranteed. The deposit will be charged to your credit card upon receipt. For cancellation requests received on/by 24 May 2006, one night room fee will be charged, i.e., the one night deposit will not be returned. Cancellations after 24 May 2006 will incur an additional charge of 2 nights and will be debited to your credit card. Please click Registration & Hotel Reservations for online registration. The IEEE Communications Society has contractual obligations to fill guaranteed guest room blocks at the Conference Headquarters Hotel Hilton Istanbul and the BoG-related meetings hotel the Istanbul Hyatt. Significant financial penalties will be assessed the Society should ICC 2006 fall short of the expected number of rooms guaranteed. By staying at either hotel, you'll enjoy logistical conveniences and additional networking opportunities in valued support of IEEE ComSoc's financial obligations.